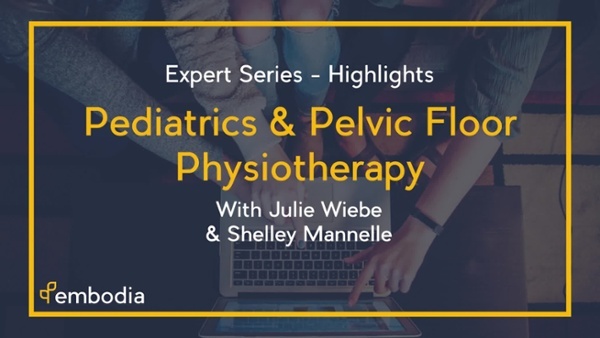 Julie Wiebe and Shelley Mannell have joined us for another segment of our Expert Webinar Series. The discussion is centred around pelvic health awareness and strengthening your pediatric skills. Both of our guests have over 20 years of experience in orthopaedic, pelvic health & paediatrics studies. This provided them with years of experience in better serving their patients. Find out the best tips from Julie and Shelley in order to assist your patients in the best possible way. How to strengthen your pediatric skills. What you can incorporate in your practice tomorrow to better serve your patients. How to make a lasting impression in order to increase your patient retention rates. Shelley Mannell, PT has more than 25 years experience treating babies, children and adolescents with physical challenges and gross motor delays. Shelley has been a registered Physiotherapist with the College of Physiotherapy of Ontario since graduating from McMaster University. She is a member of the Neuro-Developmental Treatment Association (C/NDT) and is a regular contributor to various newsletters and online forums.